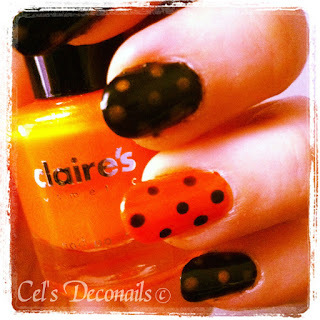 I want to show you a couple of very simple Halloween manis, perfect for those who don't have enough time, like me. The first one is a black and orange polka dot manicure. Very easy to achieve with a dotting tool or a toothpick. I reversed the colours for an accent finger, to make this a little more fun. 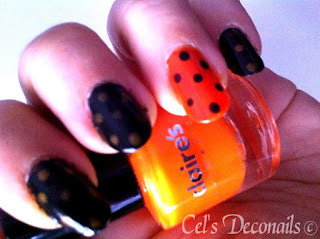 I used the orange Claire's nail polish I got from Moni and Sally Hansen's Black Out. Even though it is a simple manicure, it is quite fun. For the second one I wanted to use some of the fabulous Halloween polishes from China Glaze. 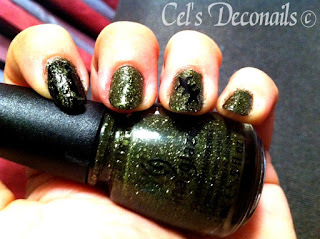 So I started with two coats of It's Alive, a fantastic green glitter. Then on some nails I drew stitches with black nail polish and on some nails I applied China Glaze Black Mesh. And here is the final result. What do you think about these? Do you paint your nails in seasonal themes or just go with whatever you like? For the time being don't forget to enter my running giveaway for a chance to win two Seventeen nail polishes. I love your Halloween manis! I think I'll try a Halloween mani myself this year, it's so much fun! The first one is super cute! 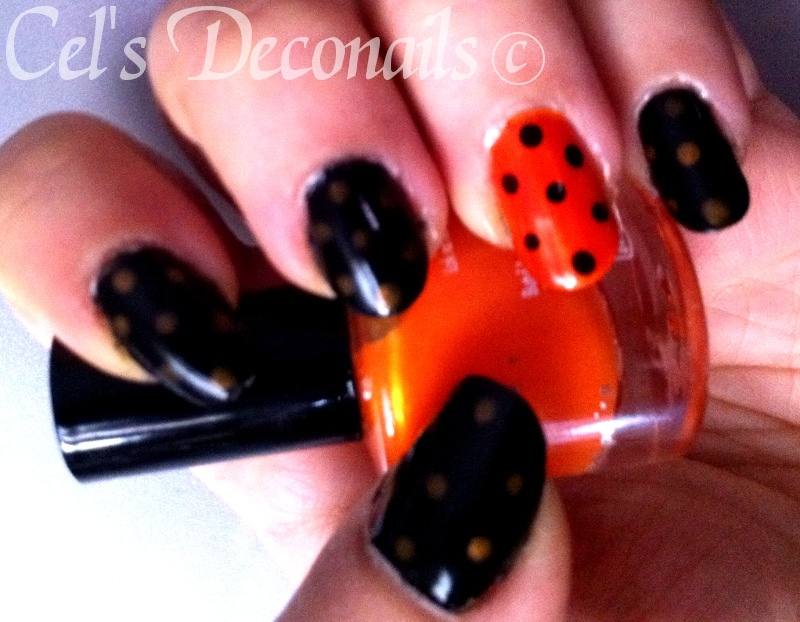 love them the orange with the black dots is so Halloween!!!! I love your halloween mani, it's so cutee!